The penultimate volume of the Showa series continues award-winning author Shigeru Mizuki's autobiographical and historical account of Showa period Japan. 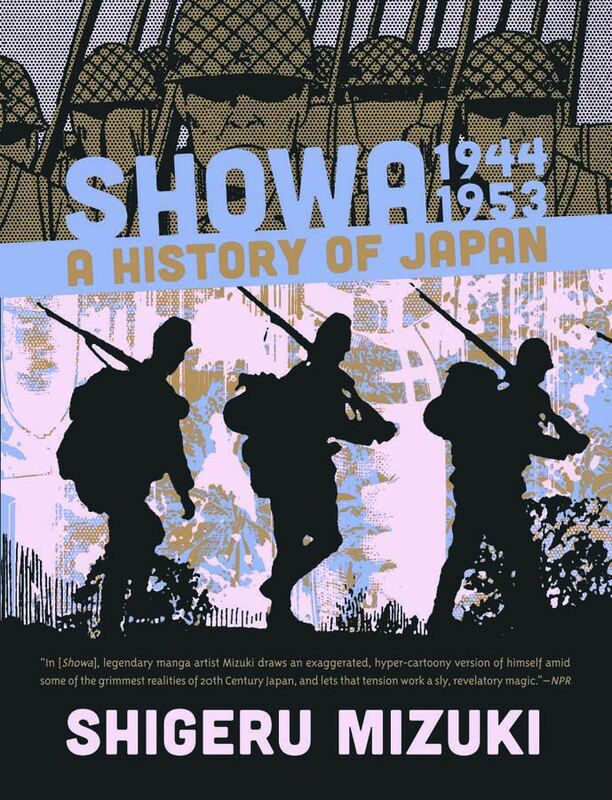 This volume recounts the events of the final years of the Pacific War, and the consequences of the war's devastation for Shigeru Mizuki and the Japanese populace at large. After the surprise attack at Pearl Harbor, Japan and the United States are officially at war. Two rival navies wage a series of micro-wars across the tiny Pacific islands, and finally, the United States unleashes the deathblow with a new and terrible weapon-the atomic bomb. Showa 1944-1953 is a searing condemnation of the personal toll of war from one of Japan's most famous cartoonists.